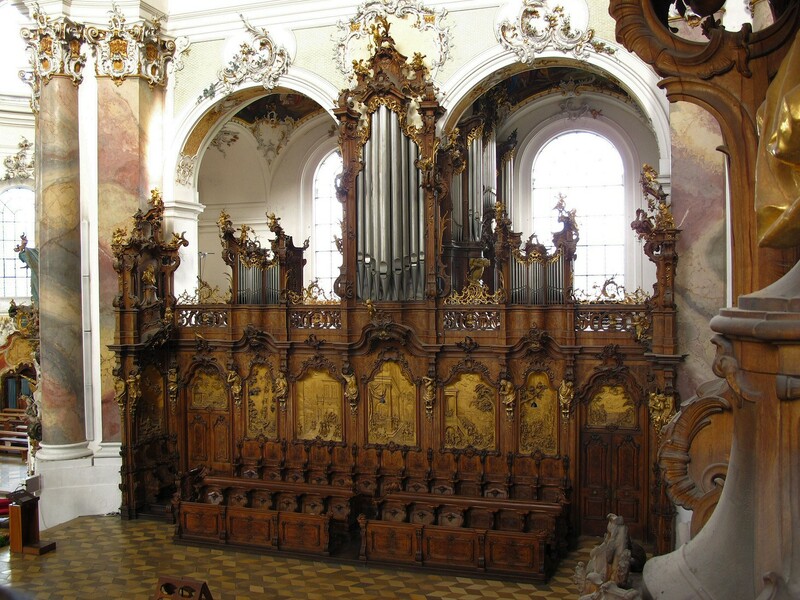 Description: The only almost originally preserved organs of Karl Joseph Riepp - the smaller Heilig-Geist organ and the big Dreifaltigkeits organ - are to be found in the Benedectine abbey of Ottobeuren. Due to their construction, their high-quality craftsmanship and especially to there unique sounds they belong to the most important organ heritage worldwide. They combine French and South German ideals of sound and are regarded as a timeless best of organ building. The smaller Heilig-Geist organ is more of the South German type. The sound concept with excellent blending warm and full stops, the original mild mixtures and the string stops points already very much forward to romantic organs.